Best Amsterdam Discount Cards 2019 >>> The Pros and Cons! Visiting Amsterdam in 2019 can be an expensive occasion. During high season, prices for a hostel bed or hotels in Amsterdam vary but can be quite high. In addition to this, you are most likely planning to visit some museums and attractions. The good news is there are several ways to save money during your stay in Amsterdam! Amsterdam Holland Pass is a pre-paid city pass and discount card allowing free access for many top museums, attractions, activities and city sightseeing in Amsterdam and other major cities in The Netherlands. The Amsterdam Holland Pass is available in three packages: 3, 4 or 6 tickets. These tickets will give you free entry to museums, attractions and (public) transport. A guide for Amsterdam and the Netherlands is included in the price. The major museums as the Rijksmuseum, Van Gogh Museum and Stedelijk Museum are included. When you have used all your tickets you can still use the pass for discounted entry up to 50% at most of all the other museums and attractions. Widely recognized, great coverage. Can be purchased with a wide variety of options and not limited for a certain time frame (pass is valid until March next year). Cheaper than the I amsterdam City Card. Save time and use the preferred partner entrance at The Rijksmuseum! Discounts or free gifts/drinks at restaurants and shops as well. The I amsterdam City Card is the “official” city pass. It is a pre-paid pass and discount card allowing free access on many top museums. Furthermore it gives you discount on attractions and activities in Amsterdam. A separate free public transport ticket is included to use the public transport system in Amsterdam. The I amsterdam City Card is available in three package deals with discounts valid for 24 hours, 48 hours, 72 hours and 96 hours. Major museums as the Rijksmuseum, Van Gogh Museum and Stedelijk Museum are included. 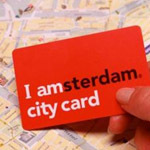 Read more information about the I amsterdam City Card. All-in-one discount card for museums, attractions, public transport. Within the chosen time limit (24 hours, 48 hours, 72 hours or 96 hours) you have free access to almost all museums in Amsterdam. This is a different type of discount. Combination Deal is not a city card or discount pass. It offers you a unique way to save money on many top museums and attractions in Amsterdam and even more throughout The Netherlands. So the more tickets you combine, the more money you save! Discounted tickets for the major museums as the Rijksmuseum, Van Gogh Museum and Stedelijk Museum are available as well as top attractions like the Heineken Experience and Canal Tours. Read more information about Combination Deal discounts. No card to carry. 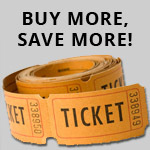 You only pay (discounted) entry fees for the museums and attractions of your choice. Great choice if you are only planning to visit a few museums or attractions. Limited discounts, no public transport included, no guide or map, no discounts at restaurants and shops. 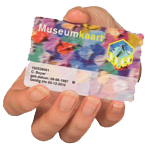 The ‘Museumkaart’ is a personal museum pass, valid for one year for Dutch residents in more than 350 museums in the Netherlands. !! NEW Since July 2018 >> for tourists the temporary Museumcard is only admissible with 5 museum visits for a maximum of 31 days. The museum card offers free access to museums, but not to other attractions or activities (no discounts or free attractions, no free public transport, no discounts for other attractions, restaurants and shops). Read more infomation about the Museumkaart. With temporary Museum Card access to almost all museums valid in several cities in The Netherlands, but NEW: max 5 visits! MAX 5 visits (with the temporary Museumkaart for tourists – new since July 2018). No free public transport or attractions, no discounts at shops or restaurants. As we will arrive by train so we need public Transport. NEMO, National Maritime, Grachtenhuis, EYE, Oude kerk, Tulip, Canal cruise, etc. how do I purchase the Amsterdam Card? And how much in AUD for 2 over 65’s? Will be in Amsterdam 29 July – 2 August 2018. You can buy the card via our website: Buy online your Iamsterdam City Cad I can’t give you the price in AUSD. It depents which card (24/48/72 hrs) you want. Hello, i am going to visit Amsterdam on 30 April 2018, and i also want to visit Haarlem and Zaanse schans. Any suggestion what should i use? does GVB ticket (7.5 eur) valid on the region of Amsterdam too? If I buy the holland pass with 3 gold and 3 silver tickets can I use the tickets for my son and husband or are the tix only to be used by person who has the holland pass? I’ll be visiting Amsterdam for 4 days 3 night from 29 May – 1 June 2017. For Day 2, we plan 2 to visit 2-3 museums, take canal ride and hop on hop off. For day 3, would love to visit keukenhof Garden and windmills. I read somewhere that Keukenhof Garden will be closed after 21 MAy 2017. If so, where is the other attraction similar to KeuKenhof Garden we can visit on 31 May 2017? Which pass is suitable for my itinerary? We are visiting Amsterdam in July for 7 days, arriving at Schipol. We plan to visit galleries mainly,but also the Botanical Gardens, and would like to go to the Rijksmuseum more than once. We will need public transport to and from the airport but plan to mainly walk during our visit, only using public transport for the more distant attractions. We are staying near the museum area. Could you please suggest the best card option. Hi, my parents and I are planning to visit Amsterdam for 3 days. We will be staying at Zaandijk and would require transport from Zaandijk to Schiphol Airport. We would also like to visit Zaanse Schans and Keukenhof, as well as a couple of museums. Could you recommend the best card for us to get? 1/Your tables comparing the different cards say that Holland Pass does not give free entry to NEMO science museum but on the Holland Pass website it is included (with a gold ticket). Is this a mistake? If entry is included to Nemo is it also fast track? 2/Also does the free entrance to Rikjsmuseum (with a gold ticket) include fast entrance? We are 2 people visiting Amsterdam in month of july for 2 days. Can anyone suggest what all places we can visit in 2 days with minimal cost!? Also which card should we go for? There’s a group of us arriving the morning of 14th April, leaving the evening of 17th April. We are staying outside of Amsterdam in accommodation which offers free shuttle service to/from the city – however, our biggest concern looking at the passes is the Public Transport. Your grid shows that the Holland Pass includes public transport in the price, but judging from the comments left on other queries, it seems we have to pay extra for this? Can you confirm if the Holland Pass DOES include free public transport and if so, what transport is this? Also, it has a green tick for a Schipol Express from the airport – is this included in the price also, or are we to pay extra? I will be in amsterdam for about 4 days and will be visiting many museums etc. Will it be worth purchasing the Iamsterdam card if I will be going to Keukenhoff on one of the days? It depends on jow many and which museums you want to see, but I think the Amsterdam Holland Pass LARGE is the best solution for you: Rijksmuseum and Keukenhof is included. Hi, I was wondering if unlimited public transport is included in the Amsterdam Holland Pass? It’s very unclear on their website. Hi Celeste, with 1 SILVER ticket you can get a 24 hrs public transport ticket. I will be visiting Amsterdam in April with a group of friends. It looks as if the Holland pass will suit us best as it covers the Rijksmuseum and public transport. Does the pass include transport from the airport? Can i book the pass on line before I arrive in Amsterdam? Can i pre book the Rijksmuseum​ with the passs, to avoid queues? Q) Does the pass include transport from the airport? Q) Can i book the pass on line before I arrive in Amsterdam? Q) Can i pre book the Rijksmuseum​ with the passs, to avoid queues? Hi, we will be in Amsterdam for 3 nights / 4 days in April. If we get the I amsterdam card, could you please advise how we book a timed slot to visit the Van Gogh Museum? Many thanks. Sue, UK. Hi, we are 2+2 (boys age 14 & 11), arriving at Schipol, staying in Rotterdam for 6 nights. Would like to cover Keukenhof 2017, Anne Frank Huis, Canal Cruise plus 1-2 other attractions. Not a big museum fan. Need public transport from Schipol Airport to Rotterdam hotel and back. And also transport across Rotterdam-Amsterdam as well as local transports inside Amsterdam and Rotterdam. Would you recommend us buying Holland Pass, iAmsterdam Card or Combination deal? Don’t think we will need Museum-kaart, right? what is the best option for transport – is it better opt for Day Train Ticket at €19- along with Holland Pass? Any other alternative? Will these options work for the boys? Holland card has only adult options – there seems to be no child option available. Finally, instead of public transport, is it better to rent a car and drive instead? I’m visiting NL from 20-23 and would like to see the Rijkmuseum, Van Gogh, enjoy a canal cruise and pubcrawl. I’m also thinking of heading to Den Haag or Rotterdam. What pass is more suitable for me that would also cover the transportation in between the places I’d like to visit? Please note: there is no discount pass with the option of free transfer between cities in The Netherlands. You alwaus have to buy seperate train tickets. We are trying to decide between the Amsterdam Holland and the iAmsterdam cards. We will be in Amsterdam for 6 days. The deciding factor for us is public transit. Does the Amsterdam Holland card offer 30 days unlimited public transit? I would like to visit Van Gogh and Rijksmuseum and optional also a boat tour and another day we would like to go to Keukenhof. We arrive at Schiphol Airport, so could you please tell me which is the best configuration? With a Medium Amsterdam Hollanp pass is it possible? 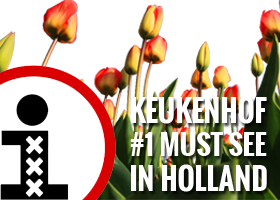 Another option is to “buy”an admission only ticket for the Keukenhof (1 GOLDEN ticket) an go by train and bus to Keukenhof from Amsterdam Central Station. This option takes a lot more time and is a bit complcated. You can use the 2 SILVER tickets for 2x 24hrs Public Transportation in Amsterdam. I’ll be visiting Rijkmuseum, Stedelijk and Van Gogh Museums in Amsterdam before visiting Boijmans van Beuningen, Kunsthal and Fotomuseum in Rotterdam, Mauritshuit, Gemmensemuseum and Escher museum in The Hague and the 3 museums in Den Bosch. I think museumkaart will be best but do the museums I mention outside Amsterdam accept the Museumkaart? What do you think? Visiting that many museums the ‘Museumkaart’ is the best and cheapeast solution. With this link ( http://www.museumkaart.nl/Museumkaartgeldigprint ) you can download a pdf file (in Dutch) with all the museums accepting the museumkaart. We are 2+1 (13 yrs completed) visiting Amsterdam from 18-21 Apr. Our interests are Keukenhof, Anne Frank House and a village visit (Cheese factory, Windmill, Wooden Houses) and whatever time permits after these. We’ll be in a hotel near the Central station. Can you please suggest a right pass for us? Will it be Holland Pass or IAmsterdam pass? I amsterdam city card does not give free access to Keukenhof and Anne Frank House neither a discount. It only offers free access to small villages near Amsterdam for your visit to the Wooden Houses, Windmills etc so called ‘Schaanse Schans’ (but without transportation). With the Amsterdam Holland Pass MEDIUM you get free access incl transportation to Keukenhof, free access incl transportations (Bus 391 – Connexxion) to Zaanse Schans and even have another free ticket for a canal tour in Amsterdam or the Hop On Hop Off bus. Thanks for your reply. I have more specific questions now. Q1) So, for Keukenhof, I use 1 Gold + 1 silver. For Zaanse Schans, 1 silver for transportation, since entry is free. That leaves me with 1 Gold- apart from the Hop on-Hop off OR canal cruise. Is that correct? Q2) In the Keukenhof website, I can see ‘Combi Ticket Adult Amsterdam’ is charged at €28.5. However, in the Holland pass leaflet, ‘Keukenhof excursion’ is €50,00. I am confused here. A1) Village Zaanse Schans is free but for the attractions and museums you have to pay. With this link (http://www.amsterdamtourist.info/wp-content/uploads/2015/03/Amsterdam-Holland-Pass-2015-all-discounts.pdf) you can find a detailed overview (pdf) with all the possibilities with the Amsterdam Holland Pass tickets for Zaanse Schans. A2) I understand the confusion. The difference is the transportation. You either go by public transport (2 different busses – 1.25 hrs) or by private coach (0.40 hrs). In this article “The Best Options To Visit Keukenhof Gardens from Amsterdam” you can read about the different transportation options to Keukenhof Spring Garden. Hi, we are group of 9 peaples from Berlin planning a Amsterdam-visit in June. 3 have a incapacity (50-90%) do this people get reduced tickets for museums etc.and if so can we book this reduced tickets online in advance ?? 2nd question refers to the Holland Amsterdam Pass 5/middle : do we have free access to the Van Gogh Museum and the Rijkes Museum as well ?? Regarding iamsterdam City card or Amsterdam Holland Pass. Most of the time the Amsterdam Holland Pass gives the best value for money. You can buy the Amsterdam Holland Pass online with this link. I will be in Amsterdam 22 April-26 April 2015. Planning to go to Keukenhoff and Zaanse Schans on different days, and take Blue Boat canal cruise. I notice Blue Boat canal cruise is not in the list of FREE canal cruise of Holland Pass. Is it better for me to buy Keukenhoff Combi-Ticket or Holland Pass? I think the best way for you is to buy an Amsterdam Holland Pass. This discount card for Amsterdam & The Netherlands gives you a lot of opportunities and Keukenhof Garden, Zaanse Schans and a free canal tour is included. The operator of the canal tour is NOT Blue Boat but you can choose from 2 other good companies: “Lovers” or “See Amsterdam”. You only have to decide which Holland Pass (small/medium/large) you want to buy. With this link (http://www.amsterdamtourist.info/wp-content/uploads/2015/03/Amsterdam-Holland-Pass-2015-all-discounts.pdf) you can find a detailed overview (pdf) with all the possibilities with the Amsterdam Holland Pass tickets. If you have other questions, please let me know. You can buy the Amsterdam Holland Pass with a special online offer though this link. I will be visiting the Netherlands in late April. We will visit the Rijksmuseum, the Van Gogh, Museum, and the Hermitage Museum in Amsterdam. We will also visit museums in the Hague, Delft and maybe Haarlem. The 24, hour pass or even the two longer ones I think might expire before we can use them. Would you please make a suggestion as to which of the museum passes would be most economical for my husband and myself. The best way for saving money during your visit is The Amsterdam Holland Pass Discount Card with either 5 or 7 tickets (Medium or Large). The number of tickets 5/7 depends on how many museums and attractions you want to visit. I don’t recommend the I amsterdam City Card for your visit because the Rijksmuseum is not included and this discount card is only valid in Amsterdam. With the Amsterdam Holland Pass you have free entry to the Rijksmuseum and the tickets are also valid in other cities in The Netherlands. The number of tickets (2/small or 5/medium) depends on how many museums and attractions yoy want to visit. Any way, enjoy your visit to Amsterdam! Hi, me and two of my friends planning to visit Amsterdam in February for 7 days, please could you advice us witch card would be the best for us to buy….?? ?Taking to consideration that we would like to visit few museums and take canal ride too ??? I think the Amsterdam Holland Pass with 5 tickets or 7 tickets is the best solution and cheapest for you (depending on how many museums and attractions you want to visit). I think the Amsterdam Holland Pass with 7 tickets is a good option for you. If you want to visit more than 7 museums, you should buy the Museumkaart. Hi, I am visiting Amsterdam soon. Will it be possible to buy the Holland Pass from the Airport itself? Yes it’s possible to buy the Amsterdam Holland Pass on the airport at GWK Travelex stores. The best thing is to buy the Holland Pass online and receive a EUR 2,50 discount per Pass. You can pick up the pass at Schiphol Airport at the GWK Travelex stores. We will be in Amsteram fom 8/17 (afternoon) flying out on 8/20 (morning). We would like to include a dinner canal tour, The Rijksmuseum, Van Gogh Museum, and a trip to Edam, Volendam and Marken. We will be staying in the Dam Square area. Thinking about the Holland Pass but is this the best option and if so at what level should we purchase. Also, how do we receive the pass as it also includes a travel guide and map? Are the museums and other sights open on Mondays? Museums and attractions are always open on Mondays. We will only visit Amsterdam for one day, and we definitely want to visit the Madam Tusseud WAX museum. I think the Holland pass is the best for us, but I don’t know whether the 2 or the 5 free entry version to buy. I don’t know how much time the visits will take? We will have time from 9 a.m. to 7 p.m.. How much time we will need for the wax museum and lets say for example for the Van Gogh museum? I was able to find the tulip list, can you please tell me which list is valid for the windmill? For the Madame Tussaud Wax museum you should reserve 1,5 hours. Van Gogh Museum a bit more, but at least 2 / 2,5 hours…. we will be in amsterdam from 08-06-2014 till 11-06-2014 (2 persons). Can you recommend a discount card for this period. also what can you recommend for us to see in this period? Is Hollad pass personal or can tickets from pass be used by who ever? The Holland Pass is valid per person. So you can’t buy 1 Holland Pass and use the tickets for 2 persons. We recommend the Amsterdam Holland Pass for your visit, but it depends on what you want to do during your visit to Amsterdam. If you would like to visit some museums (incl Rijksmuseum), attractions, take a canal tour and use the public transport, the Amsterdam Holland Pass is ideal and will save you a lot of money. 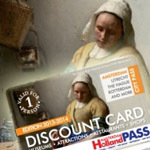 You can have a look at http://www.amsterdamtourist.info/tips/amsterdamdiscount-cards/amsterdam-holland-pass/#examples for Amsterdam Holland Pass discount examples. For events in September you can have a look at http://www.amsterdamtourist.info/things-to-do-in-amsterdam/events-in-amsterdam/september-in-amsterdam/. Hi, we will be in Amsterdam for 26th-28th September. Can you recommend a discount card for this period. We will be departing from the International Airpport 28/9. Also, are there any good shows on during this period. Thanks, Kelvin Davies New Zealand.